Swimming lessons for Adult and Children in Lagos, Nigeria. Crawford Swim World Nig. Limited is sponsored by the Nigerian Federal Government under the YOUWIN initiative of the Ministry of Finance Incorporated. The Company started as a swim lesson company, but has expanded to include Aquatic Programming for Companies and Families. We have over 10 years’ experience in teaching swimming in Nigeria. Crawford Swim World Ltd is an assemblage of dedicated, experienced and Certified Coaches who are experts in their respective fields. We run classes in the best of swimming pools in Lagos and Abuja. Crawford Swim World prides itself on being reliable and affordable—providing the best possible choice for companies and families. We teach adult and children from 2 years old. We recommend 10 lessons to swim effortlessly. In 10 lessons you will learn to swim effortlessly. Either of the two styles…. Freestyle and Breaststroke. Crawford Swim World, Ltd started as a swim lesson company, but has expanded to include aquatic programming for all ages and abilities. Crawford Swimming World Nigeria Limited 08090969849 is one of Nigeria’s best Corporate swimming school that was incorporated to fulfil the swim programming needs in Nigeria. We provide general teaching of swimming as a life-saving, recreational and competitive sport. In 2015, we launched our first swimming pool/school – Crawford Isabella Pool in Onike, Yaba area of Lagos state. Our team has grown from a one person operation to a staff of 8 extremely qualified instructors and coaches providing programming at 3 swimming pools in Lagos and Abuja. Our pool is opened everyday including Sundays. Crawford Swimming World offers a range of aquatic and fitness programs for a diverse range of ages, interests, fitness levels and abilities. 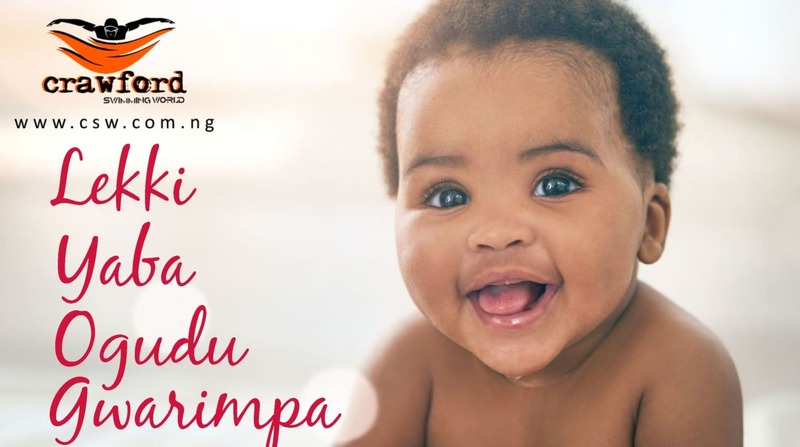 Our Swimming Pool is located in the highbrow area of Onike Yaba is built with swimming lessons and classes in mind. It is our plan to turn the facility into an indoor heated pools and a spa, health club with an wide-ranging cardio and muscle building area, group fitness studio and bicycle spin room, and a sauna and steam room to enjoy all year round. To be a leading swimming school with the best customer satisfaction. To offer an aquatic programme of exceptional quality, emphasizing a fun and safe atmosphere where safety and customer service will be of the highest standards. 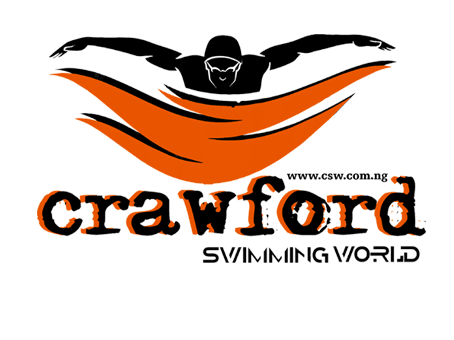 Crawford becomes the preferred brand in swimming training for adult, children and oil service companies by maintain a high level of customer service to clients. Do you want to learn how to swim? Or You are making inquiry for your children, Nieces or Nephew? I welcome you to the Best Swimming School in Nigeria. We recommend 10 classes for you to swim effortlessly. Each class is for 1hr. You need to visit our Onike, Yaba Swimming Pool in Lagos. It is a nn Smoking and No-Alcohol venue that is very ideal for children classes. It was built with swim lesson in mind. To see pictures of the pool.